With 2014 in the rearview mirror, we get the chance to look back with great fondness for what was accomplished this year. Oklahoma game developers have made great strides and impressive games this year and there is even more on the horizon. So let us look back at some of what we have seen. Starting with Oklahoma’s own poster studio for success, we have Goldfire Studios. This year, they officially launched Casino RPG and have since made many improvements. The founders, James Simpson and Luke Simkins, have also been in the media setting a great example for what good developers can do for others. Let us not forget Oklahoma’s oldest game development studio, Bonozo Apps. This year they started up The Tulsa Game Masters, a meetup for Tulsa Game Developers to get together and build their craft. They have also done a couple of game development panels this year. They were at Super! Bitcon along with Goldfire. They also organized the Wizard Comic Con Game Panel. These guys are also a core part of putting the upcoming XPO Gaming Convention together. From the studio I feel is Oklahoma’s most promising young talent, From Soy Sauce has had two game launches this year and one great new game under development. After failing to fully fund Spheroid last year, they still launched a complete and fun game. Then, in just one month, they created an excellent platforming adventure Glass Wing. Following on that success, they began work on their next game Touhou Super Smash Battles. With these combined successes, they have also become the first Oklahoma game developer to become an official Wii U developer. As for other game releases, we have seen quite a few. F5 Games became the first Oklahoma Ouya developer with its launch of House of the Lost on the system. Then they released a great twin stick shooter for the iPhone, The Hunted. Winter Stories also launched its endless runner Run, Frosty, Run. Finally, Adam Mowery launched a new platformer, Blue Beacon. Game releases like that are not the only place we saw great gaming. Oklahoma also has quite a few active game jammers. Josh Maggard is a regular participant in Ludum Dare and released Space Driller and Now You See Me this year. Additionally, Oklahoma was host to a part of the Global Game Jam with some interesting and fun games. We also had two contenders in the most recent Ludum Dare with Critical Code’s Gorilla Rampage and Picardy Third’s Beat Bop Delicious. Finally, Divine Knight Gaming (Disclaimer, E. Zachary Knight is the owner of Divine Knight and Oklahoma Game Development) attempted one game a month, completing 6 games for the year. In other news, we saw the first Super! Bit Con organized and hosted by the Oklahoma Retro Gamer Society. This event was so successful, they will be holding their second one in 2015. PL Studios, the creators of the Digital Tutors video training site, was bought by PluralSight for an astounding $45 million. And Oklahoma Christian University was ranked among the best game design schools in the nation. 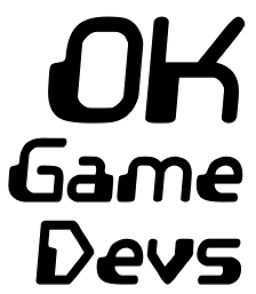 As for us at Oklahoma Game Development, we went through a bit of rebranding. We started off as Oklahoma Game Developers, but felt that particular name was doing much better as the name of the Monthly Meetup group hosted by Goldfire and wanted to take a step aside and let them use it. We also took the time to put together an official disclosure policy to build greater trust in our site and reporting. We cannot be sure what will happen in the coming year. What we do know is that there are a number of great looking games under development that will see a 2015 release. We look forward to the next Super! Bit Con and the new entry of the XPO Gaming Convention. We look forward to seeing and reporting on all these and more. LaunchOklahoma, a venture accelerator based in Oklahoma City, has brought Goldfire Studios co-founder Luke Simkins in as an alumni mentor. 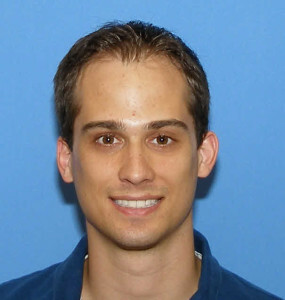 Luke joins James Simpson, fellow Goldfire founder, along with a number of other professionals from various industries in Oklahoma including PiyushPatel, founder of Digital Tutors. Luke is an alumni of our first graduating class in 2012 and CTO of GoldFire Studios, a web-based game development company in Oklahoma City. Luke is co-creator of CasinoRPG, a realtime massively-multiplayer game with tens of thousands of players from over 50 countries across the world. He is also a co-founder of Oklahoma Game Developers, an organization focused on cultivating the entrepreneurial and creative spirit of game creators in Oklahoma. For those who don’t know, Luke and James worked with LaunchOklahoma, at the time known as VentureSpur, during the time leading up to their Kickstarter for Casino RPG and for a while after. The Goldfire duo hold a lot of respect for LaunchOklahoma and the service they perform. As a member of LaunchOklahoma’s only game company to participate, we will be interested in seeing what Luke and James’ influence will have on the companies that seek LaunchOklahoma’s services and help. 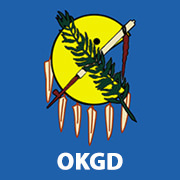 They have certainly done a lot for the local games industry through the organization of the game developer meetups in OKC. 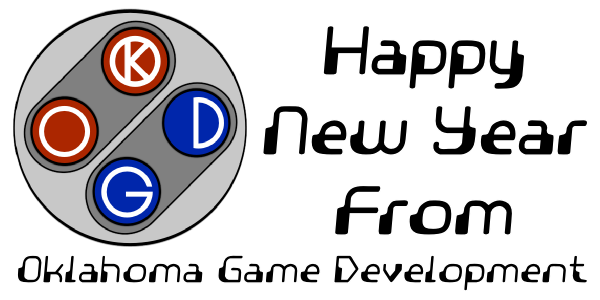 For over a year now, we have brought updates and news about game development happening in Oklahoma. We recently posted a whole host of things that happened in Oklahoma during the year 2013. While much of that happened without much work on our part, much of it would have remained pretty obscure or hidden completely had we not been seeking it out. We want to continue to bring this type of effort in the year 2014. We want to continue to highlight the many games and developers in the state and help them succeed. We also want to do more directly to support the game development scene. But we can’t do it alone. We need your help. We have created a small crowdfunding program to help with this effort. With every t-shirt sold through this campaign, we will be able to keep the site up and running. We will be able to follow the development of the many games in Oklahoma and potentially provide them with some support of their own. Our goal is simple. We want to sell at least 30 of these shirts. That will bring us enough money to pay the hosting and domain renewal costs of this website. Anything more than that will go toward our day to day costs of finding and reporting on game developers and their games. Thank you for your help and we hope to see this community continue to grow. With a new year comes new opportunities. One of those opportunities important to us is the opportunity to make more games. And what better time and place to make games than a game jam. And we are in luck. Global Game Jam is a yearly event in which game developers from all over the world come together to make games. This year, developers will be meeting January 24-26 to churn out some great games in 48 hours. These gatherings take place in many locations throughout the world and now there are two locations in Oklahoma. The first location is hosted in Lawton at Cameron University’s Center for Emerging Technology and Entrepreneurial Studies and organized by Kevin Harris. This location will provide the space for free but you will need to bring your own computer if you want to participate. The second location is hosted in Edmond at Oklahoma Christian University and is organized by Jeff Price. This location requires an entry fee of $20 and has 23 Mac and PC computers available for participants. These will probably be first come first served so if you wish to use this location, you may want to have a backup plan if more people show up. Game jams are a great place to go and test your skills in game development. They are also great places to network and build relationships with other game developers. The challenge of creating a fully functioning game is a limited span of time really builds your creativity and pushes you to focus on the meat of the game rather than potatoes. If you are interested in taking part in the Global Game Jam at either of these locations, you can register at the links above. We certainly look forward to seeing all the games that are made. At Last Month’s meetup, Dan Moyer showed off a game he had worked on in the past. That game had some really nice visuals and a great looking art direction. At this week’s meetup, July 25, Dan will be giving us a look into visuals perception. Sometimes, there just aren’t enough lens flares to make a game look right. How is it that some projects need a billion artists, and others only need one? In this talk, I’ll discuss some basic technique that anyone can apply to make their game snap into place visually. We can cover the basics of how the brain processes visual information, the underpinnings of art direction, and a bit of color theory. Perhaps there will be some pretty pictures, too. This will be the main treat, but there will also be an opportunity to share your own work with everyone else present. So please try to make it and take part in the fun. Interested In Writing For Oklahoma Game Developers? I had the idea for this blog way back when I thought I was the only one really interested in game development in Oklahoma. It took a $0.99 domain name sale to get me to make the plunge and actually start it. Since opening up in December, I have seen so much going on in this state that it has blown my mind. There are games being made and events happening and even popular media sources are picking up on it. It is time to take things to the next level. We are looking for some people to help ferret out the cool stuff that is happening in Oklahoma and help write blog posts. These can be anything that is related to game development in Oklahoma, whether that is reviews of existing or upcoming games made by local developers, or interviews with said developers, or anything that you might think would be of interest. Your creativity is key. Speaking of creativity, We also need these same individuals to help in promoting this site with the game development community and to begin using its forums and social media presence to build a great community. If you are interested in writing for Oklahoma Game Developers, please get in touch. You can comment here, or on any of our social networking pages. You can also use the contact form. If you are more of a traditionalist, you can email E. Zachary Knight directly at zachary (at) okgamedev.com. When you do respond, please include samples pertaining to games in some way. These can be blog posts you have written on other sites, game reviews you have written, or reports you did in school. I do prefer these samples to be game related and written for a more game development minded audience. We also prefer an eye for grammar and spelling. While we will attempt to edit everything we publish, it helps if those writing for us make that process easy. Also, tell us a bit about yourself. Keep in mind that this work is done on a strictly volunteer basis for the time being. Oklahoma Game Developers is not at the capacity that we can pay, as it is mostly a side project. We will however attempt to provide incentives beyond just recognition. Just don’t count on much at the beginning. If you aren’t interested in writing for us officially, or are a game developer or student with something interesting to share, we have a forum in which you can share your own experiences and work. Please feel free to utilize them. Anything we feel needs extra attention, we will happily share on the front page. 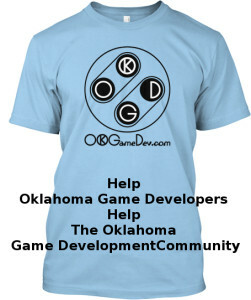 We are excited about the future of game development in Oklahoma and hope to see this industry grow in this fine state.